Major refurbishment is underway at the Saint-Gobain Weber HQ in Flitwick, Bedfordshire where weberfloor products are being used extensively. The work involves renovation of 240m² of industrial and commercial floor space. weberfloor 4716 primershould be diluted with clean water and can be spray-applied for use on large areas. weberfloor 4160 industry top industrial floor screed was then applied to a thickness of 10mm. It is especially suitable where renovation time is limited and is ready for foot traffic 2 – 4 hours after application. weberfloor 4610 industry top does not require any finish but may be coated with a suitable resin and is ideal for use on both new floors and renovation projects. In a separate area of the building work is ongoing in the creation of a new open plan office area. During the preparation stage a slip membrane was installed to create a floating floor and to effectively de-bond from the existing substrate. 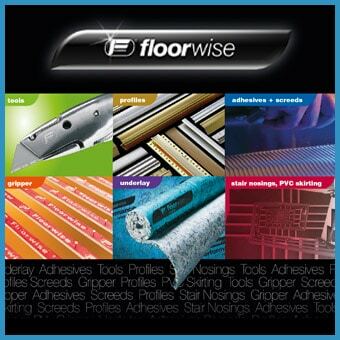 This has been reinforced with alkaline-resistant weberfloor 4945 glass fibre mesh. Mesh is normally used on weak substrates or in case the screed is laid un-bonded. Fibre-reinforced for added durability, weberfloor 4310 fibre flow has been applied to the mesh at 25mm thickness but can be applied up to 50mm.